Why Record with Clockwork Sessions? 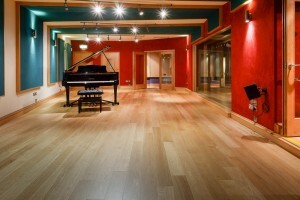 Gorbals Sound is a state of the art recording studio. The combination of an amazing Neve sound desk, a collection of vintage microphones, as well as 6 isolation rooms in Studio 1, makes it the perfect facility for dry studio recording and sampling projects. Studio 2 being a bit livelier and ideal for string quartets. For remote recording, Source-Live over high speed fibre optic cable gives you access to the control room and studio spaces in real time.